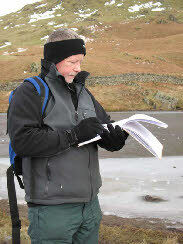 Tim is a great believer in sketching and drawing, where ever possible he records images in his sketch book. 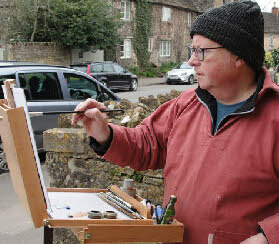 Weather does not have to pose a problem, get the initial strokes in with a fibre tip drawing pen and then find a local cafe or pub to add the tone with a graphite pencil. 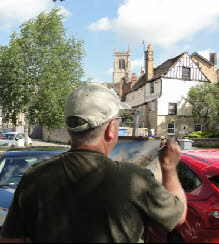 He will always also sketch from a photograph before painting the subject, this gives you a chance to edit the scene and add your own choice of light direction. This months selection of sketches on the next page are water related, favourite locations for Tim. 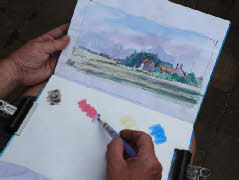 As you can see from two of the above photos, you can take the opportunity to sketch, whatever the weather.